Storm water runoff affects many homeowners and business owners, and unfortunately not in a good way. 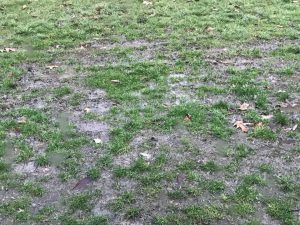 Issues caused by storm water runoff can be as simple as water pooling in your yard, and as serious as water entering your basement and causing severe health issues due to mold. Storm water runoff is water that originates during precipitation events including snow melts and heavy rain. Storm water basically has three alternatives; it can soak into the soil, be held on the surface, or runoff and end up in nearby creeks, streams or rivers. What many people are not aware of is that storm water runoff is the number one cause of water pollution in the United States. Surprised? Consider the pollutants that run into our waterways after a storm: litter, petroleum, pesticides, and fertilizers. These are just a few of the products that cause storm water to become polluted. 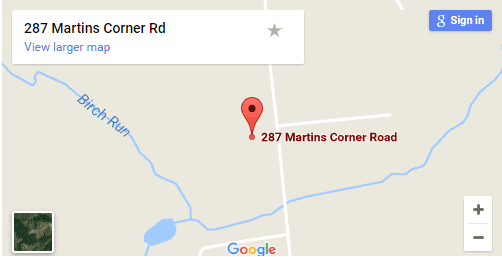 We recently had an engineering company contact us on behalf of a homeowner. The homeowner was looking for a solution to one of the largest storm water runoff problems we have ever seen. Due to many different factors from urban sprawl and nearby commercial properties, this homeowner had a large portion of their backyard eroded into a channel deep enough for a grown man to stand in, and the channel ran the length of their property creating a river effect. 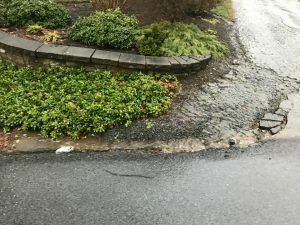 Thankfully this type of runoff is not the norm but it does show how storm water runoff can cause major issues for homeowners. 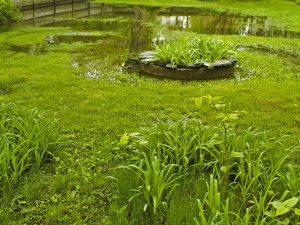 Most homeowners or businesses contact us because they have standing water on their property that might be causing rivets to run through their lush green lawns, water pooling causing unsightly patches on their driveway surface and also allowing family members and their pets to track this dirty water into the home. Many homeowners contact us because they have wet basements. The issues that arise with water coming into the house are varied but some of the more common culprits are window wells, improper grade along foundations, and heaving of the earth due to freeze/thaw events. Soil erosion due to storm water runoff can occur at many levels. From the loss of topsoil to the loss of ground area, there are many variables. New construction in your neighborhood can take years to settle causing storm water runoff problems that are years in the making. Often homeowners repeatedly plant grass seed with topsoil in the hopes that eventually the grass will have a solid root base. Storm water runoff with its forceful nature, if not dealt with, will find its own way and that is always the path of least resistance.